A view from the top of Loch Indaal in October a few years back. Barnacle Geese have arrived for the evening roost at the top of the loch. Lights have come on in Bowmore, barges were anchored off Bowmore as some work was going on at the time. 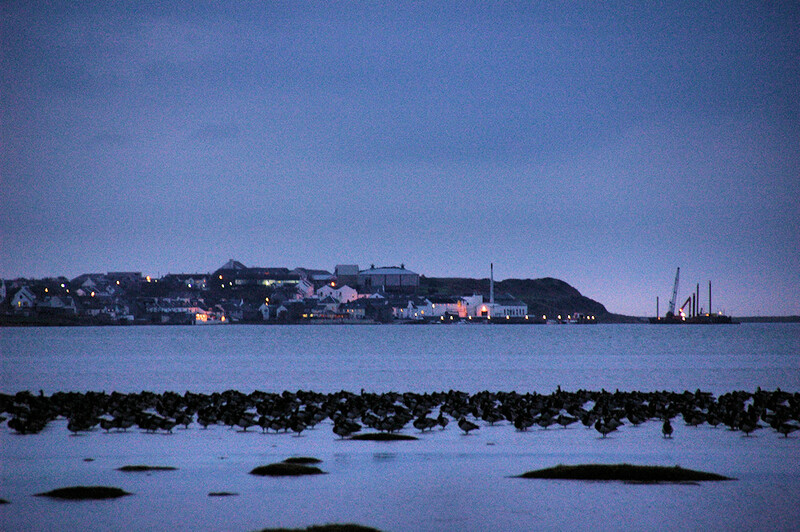 This entry was posted in Cloudy Weather, Distilleries, Landscape, Repost, Sea Loch, Village and tagged Barnacle Geese, Bowmore, Islay, Loch Indaal by Armin Grewe. Bookmark the permalink.